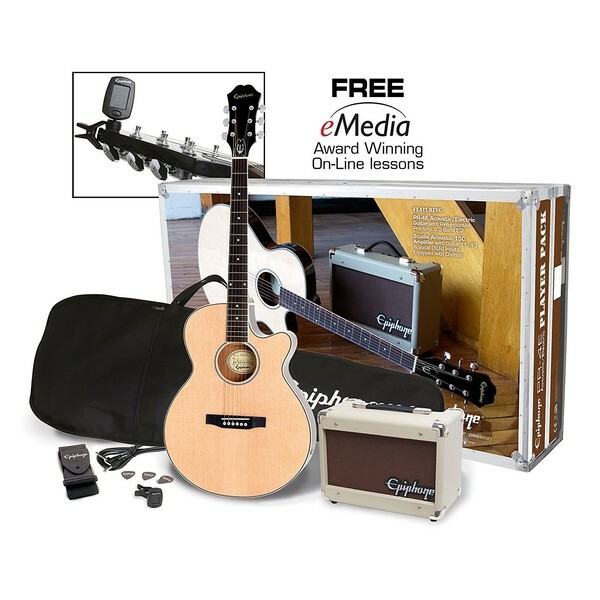 The Epiphone PR-4E Electro Acoustic Player Pack contains everything you need to get started playing guitar. 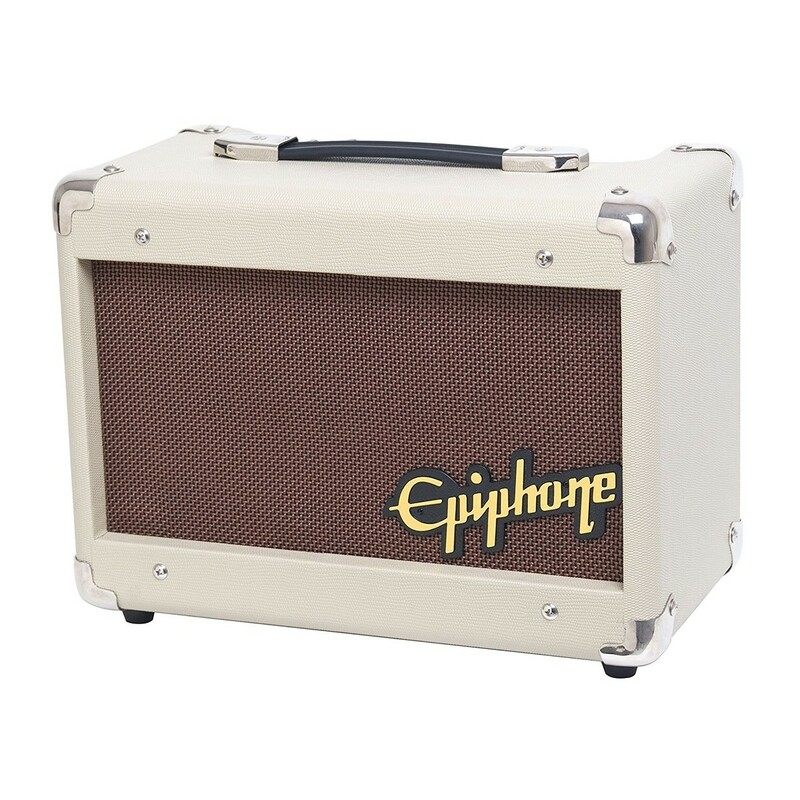 For over 10 years, the Epiphone Player Pack has been providing beginner guitarists with a quality guitar, amplifier and the exact accessories that they need. 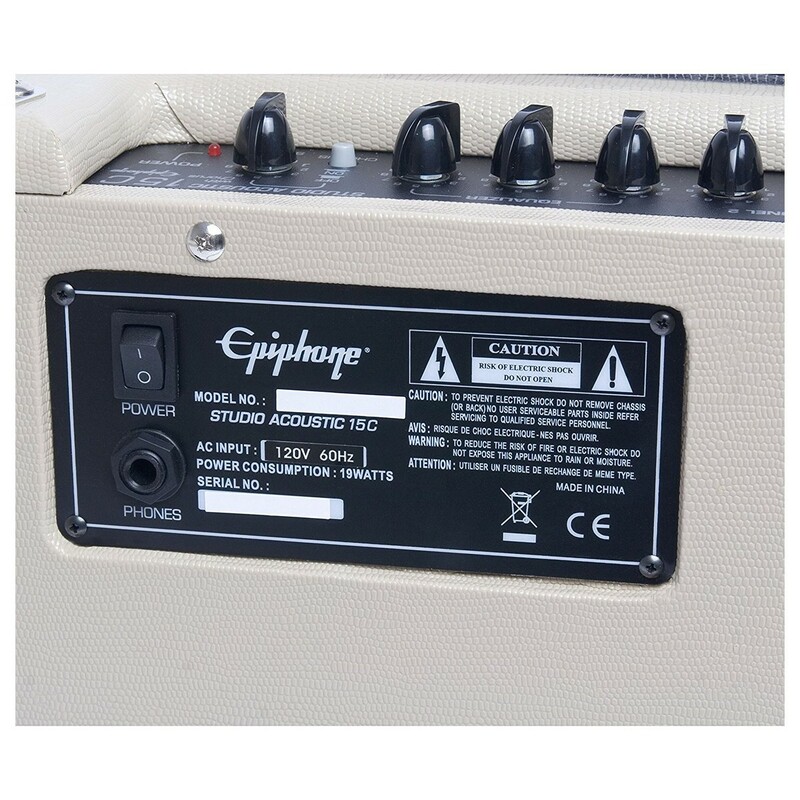 The pack contains a quality PR-4E electro-acoustic guitar with a bright tone and easy playability. The guitar has an under-saddle pickup fitted, and can be plugged into the included Studio Acoustic 15C amplifier, with built-in effects for expanding your sound. The pack also includes accessories to connect your guitar and get playing on stage, including a strap, cable, picks, and gig bag. If that wasn't enough, a link to eMedia gives you access to free online guitar lessons. Beginning a new instrument is often a tricky process, with several pieces of equipment/accessories to buy and plenty of conflicting advice. The Epiphone PR-4E Acoustic/Electric Player pack removes any confusion from this process and is the ultimate all-in-one package to get your guitar playing career started. 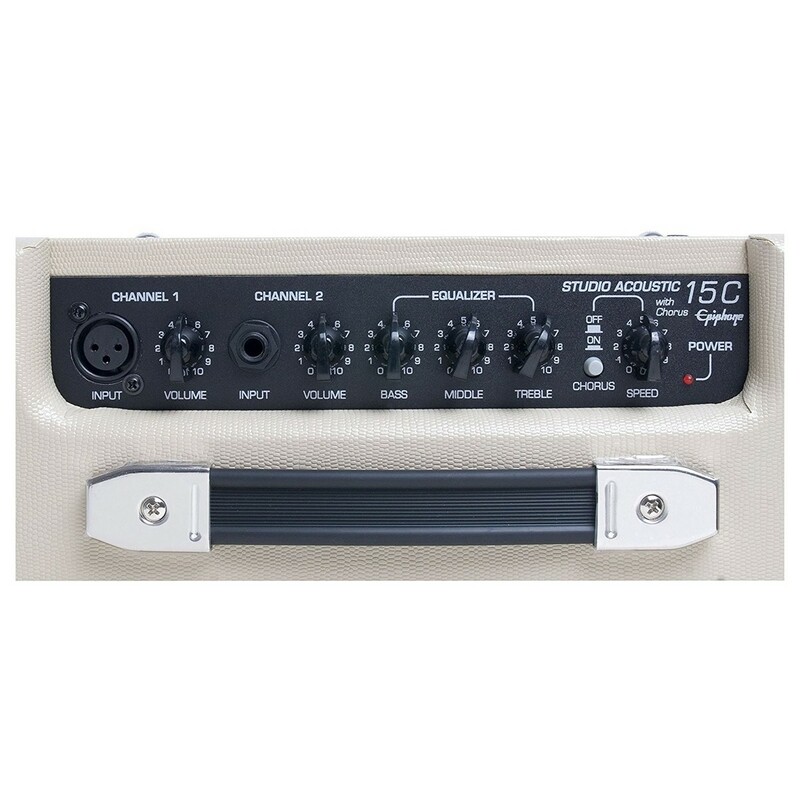 Note: This pack includes the Studio Acoustic 15C Amplifier with UK plug. One of the main difficulties in starting a new instrument is trying to decide what guitar and accessories you actually need to get playing. With endless manufacturers and different categories of equipment, knowing what to buy can be a major hurdle with no guarantee of acquiring the correct gear. The PR-4E Players Pack aims to remove all of that confusion. In one package, the PR-4E Players Pack provides you with everything you need to get started playing the guitar right away. The package includes a quality electro-acoustic guitar, an amplifier, cable, picks, tuner, strap, gig bag, and free access to online guitar lessons. The pack has been helping beginner guitarists for over a decade, and ensures that you won't need to buy anything else to start your guitar playing career. A beginner guitar should be easy to play and have a great tone. It should inspire you to make music and look forward to practising. The PR-4E is one of these guitars and is crafted from quality tonewoods that often feature on more expensive instruments. A mahogany body and neck gives excellent resonance with a warm tonality. The spruce top provides the "voice" of the instrument, and gives this guitar a bright and nuanced tonality with great sustain. The PR-4E's body is supported with vintage-style X bracing - just like the Epiphone Masterbilts - which not only supports the top but gives the PR-4E considerable volume for its size. Thanks to its quality construction, the PR-4E doesn't suffer from sounding 'boomy' or 'boxy' and is the ideal instrument for singer-songwriters. The PR-4E has a Venetian-cut body shape for easy access to the top frets and quality machine heads to remain in tune throughout your gig, practice session, or rehearsal. The guitar also includes a pickup system and can be plugged into the included amplifier. The preamp has controls mounted on the side of the guitar so you can easily make adjustments to your tone. 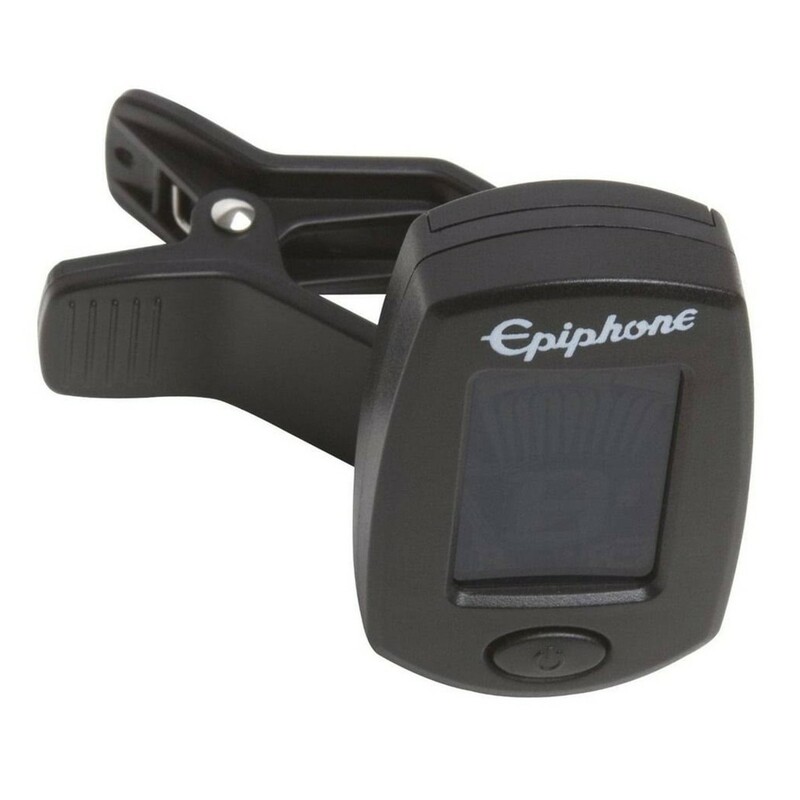 The guitar also includes a 9V battery compartment for easy battery changes, alongside a battery light indicator so you'll never be caught without warning when the battery is running low. The PR-4E Players Pack includes the highly portable Studio Acoustic 15C amplifier to get you heard at intimate gigs and during rehearsals. The amp delivers 15 watts of power through a compact 6.5'' driver and includes 2 inputs for a guitar and a microphone. Each channel has independent volumes so can be balanced perfectly. The amp also includes a handy headphone output for silent practice. The Studio Acoustic 15C has a 3-band EQ to further sculpt your tone, along with a chorus effect that adds a subtle thickening to your sound (often used by sound engineers on acoustic guitars). With its dual inputs, the 15C would make the ideal platform for singer songwriters. The Players Pack includes all the accessories you'll need to get playing right away. It features a guitar cable, strap, clip-on tuner, plectrums, and a gig bag for transportation. The pack also includes a link to free downloadable lessons from eMedia so beginners can dive in right away and begin playing.